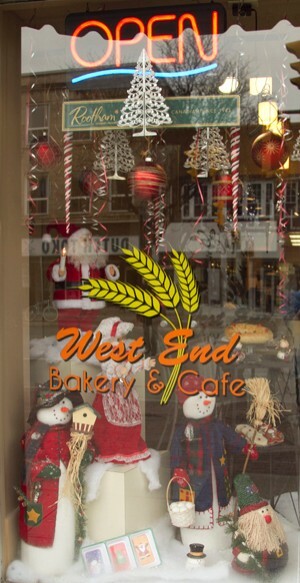 Experience quality cooking in the charm of downtown Guelph, with breakfast or lunch in our café. For breakfast, treat yourself to a danish, or enjoy an oven-fresh muffin baked earlier this morning. In addition to coffee, we are pleased to offer espresso and cappuccinos. For lunch, settle in with a savoury pork pie, hot grilled cheese sandwich, or freshly baked pizza. Or enjoy our hearty soup of the day with one of our artisan sandwiches, made fresh daily. Feeling adventurous? Try our strata –artisan bread infused with egg, milk, & spices, then baked to perfection. Meeting more than a few friends? We also offer private parties.